Thank you for visiting my fundraising page for the Walk to End Lupus Now! My family and I are very excited to join the Walk to End Lupus this year. I have been living with Lupus for the past 17 years. Lupus affects each person differently, and for me, it is attacking my kidneys. There have been countless doctor visits, lab visits, questions, and so, so many pills. I am fortunate to have a wonderful support system of family and friends to help when days are tough and an excellent team of doctors working with me to keep me at my best. 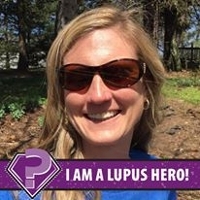 I am raising money for the Lupus Foundation of America to help solve this mystery for everyone who is affected. THANK YOU for your support!